Ten seconds seems like an incredibly tiny slice of your life. But what if that's 10 seconds of waiting to get help for a loved one, or call in a serious car crash, or a house fire, or worse? In 2018, 11 local 911 centers in Connecticut received warnings from the state for failing to have enough staff or equipment to answer at least 90 percent of all 911 calls within 10 seconds, a state standard. Chief Edward Stephens of the Wolcott Police Department received one of those letters. “In a small town it's very difficult, because when something occurs we only have one dispatcher most of the time,” he said. One dispatcher, with a records employee as a backup. Stephens played a recording of a dispatcher taking one call on a car crash, and you can hear another call ringing in the background, showing how during any critical situation, a flurry of calls can cause a small 911 center to fall behind answering calls in within 10 seconds. “That dispatcher has to answer every one of those calls on top of that, has to squeeze in dispatching an officer to the scene, a supervisor to the scene, an ambulance to the scene, whether tow trucks have to get there…it's not like a 911 call, no officers are responding. They are responding,” Stephens said. Ten other 911 centers across the state were also flagged: Bloomfield, Bridgeport, Hartford, New Britain, Norwalk, Norwich, Redding, Stamford, Stratford, And Weston. NBC Connecticut Investigates has reached out to each for comment. You can see their responses below. Norwalk 911 Center Director Lieutenant Praveen John told NBC Connecticut Investigates delays come down to staffing and training. “For the most part if it's a new dispatcher that hasn't had any background, in dispatching, it usually takes six months to do it." State Emergency Telecommunications Manager Steve Verbil explained there are no penalties for failing to meet the standard. He says the state will simply stay on the case of 911 centers not meeting it. “If your center, because of the way you set it up, needs to have more people, in order to do it, in 90 percent in 10 seconds, they need to have more people. Sometimes, though, just changing the way you do things can make it possible to meet the requirement,” he said. In the case of Wolcott, the state has discussed the idea of combining with other 911 centers to become more efficient. Stephens said, “I'm open to anything. If it's gonna help the town, I'm for it." 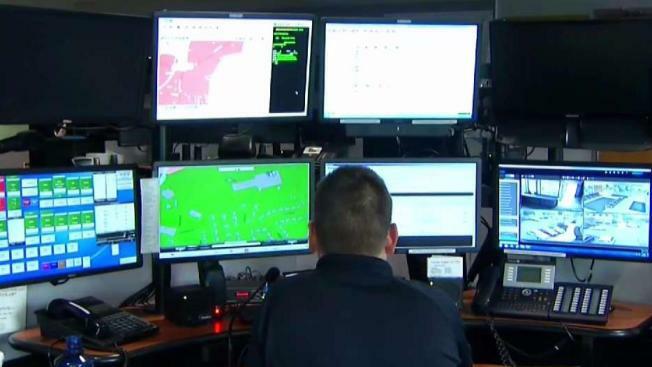 “The City of New Britain’s Public Safety Telecommunications Center (PSTC) responds to 89% of 911 calls in less than ten seconds which is consistent with the State of Connecticut guidelines of 90%. The PSTC answers all emergency calls for the City and all non-emergency calls for the New Britain Police Department. The center averages 573 total phone calls per day. “Though New Britain strives to attain and exceed the 90% rate, there are a variety of reasons why that goal is not always attained. “Processing 911 calls from cell phones (75% of our call volume), providing Emergency Medical Dispatch and answering text to 911 calls have all impacted the time it takes to process a 911call. “In addition, New Britain is a unique City with a diverse population and multiple spoken languages. At times, these calls necessitate a longer duration to accurately obtain all of the pertinent information.